Do you like fishing or messing around in boats? then do come and rent a good comfortable holiday cottage in County Cavan near Lough Oughter or the many other lakes. County Cavan is a fabulous lakeland area for cottage breaks. There is something special about staying near water, views and sunsets always look terrific. Imagine sitting in a rocking chair on the veranda as you watch the sun slowly dip or from the soothing warmth of a hot tub in the cottage garden. Holiday accommodation in Cavan is varied; there are properties with a swimming pool, with saunas, with children's playparks and games rooms, plus various other facilities. Find an Irish holiday home where you can be comfortably snug and ready to enjoy an active self catering country break walking, cycling, boating and fishing in County Cavan. Cavan is known for its lakes and tranquil feel which makes it most attractive for cottage holidays. Imagine staying somewhere with walks around a lake or boat trips. Many enjoy the beauty of Lough Oughter and Lough Sheelin and there is also the Marble Arch Caves interesting geopark with mountains and lowlands to visit. Cavan offers traditional Irish country cottage holidays and much more. If you enjoy fishing, you are likely to enjoy a self catering holiday in Cavan as there are numerous opportunities for fishing in the county. Cavan is in fact a great destination for anyone who appreciates the beauty of the great outdoors. Do enjoy taking a look at the self catering accommodation within the Irish borders on Country Cottages Online. 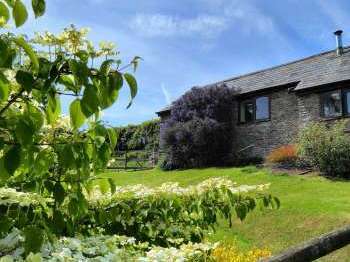 There is a selection of properties ranging from cottages in the beautiful irish countryside, pet friendly cottages, cottages with pools and large country houses. We hope you find the best cottage for you and trust that you will enjoy your stay in beautiful Cavan. Sorry we have no holiday cottages or cottages to rent in Cavan currently. We suggest that you take a look at cottages to rent in Ireland. Alternatively use our Search Assistant can help you find a suitable holiday cottage in Ireland.